Pretty little town with a wall almost completely intact, it has numerous monuments that attest to its glorious past, immersed in neighborhoods with silent and suggestive streets. 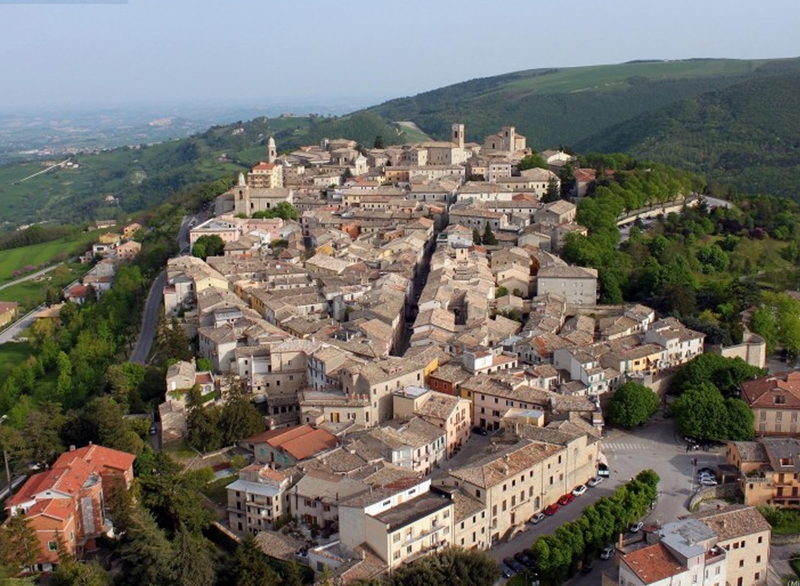 For this reason, as well as for the pleasantly windy climate also in summer, Cingoli is a popular holiday resort. Moreover, due to its elevated position and terrace on the eastern side of Monte Cingolo, the town enjoys a famous panoramic view that has earned it the nickname “balcony of the Marche”.